Mark Giammalvo specializes in driveability diagnostics at his family business, Sam Giammalvo's Auto Sales & Service, Inc. in New Bedford, MA. 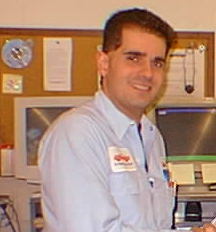 Mark, who has been with the business for over 20 years, is an ASE Master Technician and Parts Specialist. He also holds the ASE L1 certification, and has an associates degree in business management. Mark is also a writer for Motor Age Magazine and is the past secretary of the Alliance of Automotive Service Professionals, (AASP). Recently I was standing outside in front of our shop admiring a beautiful afternoon. It was nice to finally see the sun after the rainy summer we have all endured. A Subaru wagon pulled up that looked vaguely familiar. As it turned out, the person driving it was the son of a customer that I had not seen in quite some time. The young man quickly came over to me to summon my assistance. He stated that recently the engine began to make some loud noise that had him and his parents concerned. I opened the hood, then started the engine. The engine was quite noisy at idle and even worse when raced up. To me it seemed to be an unusual amount of lifter noise. Probably the worst I have heard in my 18 or so years of service. I shut the engine and pulled the oil dip stick. The driver was quick to advise me that the oil was full. He was right, he just forgot to mention that it was jet black. I asked him if he knew when the last oil change was. He had know idea and reminded me that his parents had all their service performed by our shop. I noticed that our lube reminder was still on the windshield, the sun had faded both the mileage and date. I ran to a terminal in the shop to look up our last recorded oil change service. The repair order stated that the oil was changed on March 30, 1999 at 37,337 miles. I went back to check the odometer on the vehicle to find that the car now had 65,721 miles. I asked the driver if it was possible that the car had been serviced elsewhere since March of 99. He did not think so and seemed surprised at where this little investigation of mine was headed. The final evidence reared its head when I laid down under the car to take a look at the oil filter. Sure enough, it was our brand and it looked like it was more than a year old. I got up, wiped off my clothes and looked the driver right between the eyes. My statement was fast, swift and to the point. "Based on the fact that this engine may have been running with the same oil for over 28,000 miles, I would say the cause is terminal neglect." Not a word was uttered from the driver. Like an old friend told me once before: "Silence is golden." I told the driver that we would change the oil and fill the base with a combination of oil and a cleaning agent then change the oil and filter again. I told him that if the planets were aligned in his favor he just may not have seriously compromised the engine. Otherwise, I advised him engine repair would be necessary. It still amazes me that the motoring public will have no problem remembering to purchase aftermarket wheels, radios, and the like, yet sometimes can't remember when to change their oil.